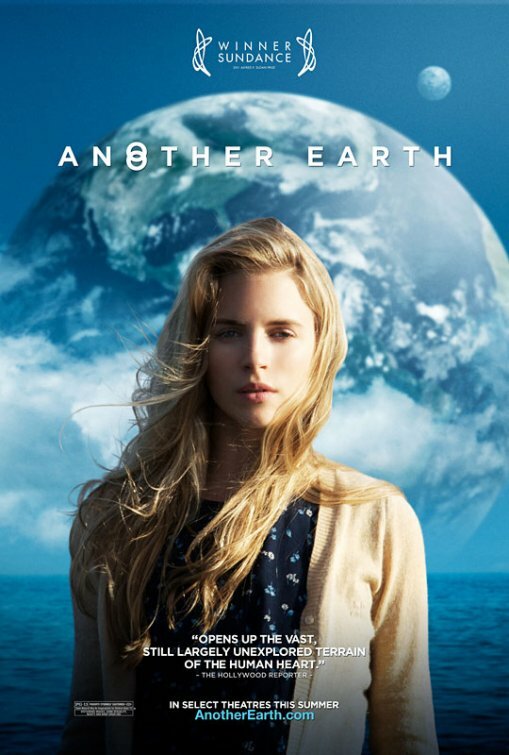 “This is a story about a girl who does something unforgivable.” So utters Rhoda Williams a couple of minutes into the mind-blowing trailer for Another Earth, which may be the best science-fiction film of the year. And the best part? Unlike most sci-fi films, this one delves deeply into the emotions of its characters; it sees how they interact, as well as how they react to the discovery of the titular Macguffin. It tackles questions worthy of a bigger budget, but with an honesty only possible with a shoestring. In short, while it will fall completely under the radar, this is one of the best films of the year, and should be sought after. Travel to a bigger city if you must, but see this film. The girl is Rhoda Williams, and in the opening moments of the film her life in changed forever. First, she hears on the radio that scientists have discovered a new planet nearby, one that looks identical to Earth. Made more impulsive by tipsiness, she looks up–and while distracted gets into a horrific car crash that leaves two dead. Because Rhoda is a minor, she is sent off to jail for a few years and her record is hidden from sight. Upon reentering the world, she finds that Earth II, as it has been affectionately dubbed, has moved closer and the world is all kinds of anxious as to its significance. Staring out at it from the crash site one afternoon, she notices the father and husband of her two victims, and follows him home. She’s looking for forgiveness, understanding, something to dull the overwhelming sense of guilt that she will never escape. But when she knocks on his door, all of her courage and determination leave her, and she comes up with a quick excuse for her presence. She is offering a trial program to clean his place for a couple of days, as a representative of some cleaning service. Perhaps if she can devote her life to bettering his, however minute her contribution may be, she might be able to properly atone for her sins and reach some inner peace. This is the bulk of the plot of the film, which carries great weight due to the wonderful performances by both of the leads. William Mapother (Lost) plays the suffering widower, and manages to switch between moments of great loss and pain to really finding a kind of makeshift happiness in Rhoda’s presence. Rhoda is played by Brit Marling, who co-wrote this with director Mike Cahill (the two previously collaborated on Boxers and Ballerinas). Marling is insanely good, managing to ponder the imponderables as well, if not better, than any actress out there. I cannot imagine someone else filling this role. The idea of “another Earth” has been around for a while as a point of philosophical discussion. If there existed a planet identical to ours, somehow managing to have all of the same characteristics, then logically we can deduce that there must be a copy of us on this planet. The improbability of Earth forming twice is so high, that the same causes and effects would be set in motion in such a way that history would run identical as well–or so some theorize. But the synchronicity must come to a halt when the two interact, and Brit believes to the core of her body, that the moment of interaction was just before her life changing car crash. So she enters a competition to visit Earth II, desperately clinging to the hope that maybe it is a place where she didn’t cause pain, didn’t ruin someone else’s life. The ending of the film is shocking and enigmatic. You will probably be debating it for days afterward. But the depths of the human heart which this film plumbs are as unexplored as the other planet. It is truly a remarkable achievement that will completely pass you by if you don’t keep an eye out for it. If you see one genre film this year, make it this one. It will not disappoint. This entry was posted in Reviews and tagged Another Earth, Drama, Low Budget, Sci-Fi. Bookmark the permalink.